I know, I know, we haven’t even had Halloween yet. But since becoming a parent, I have had to plan ahead more and more as I really like to enjoy the Christmas season, rather than be rushing around sorting all of the gifts. Plus, we have a birthday in December, so it is a double-whammy when with planning, getting things organised, and buying gifts. Have you done any of your Christmas shopping yet? 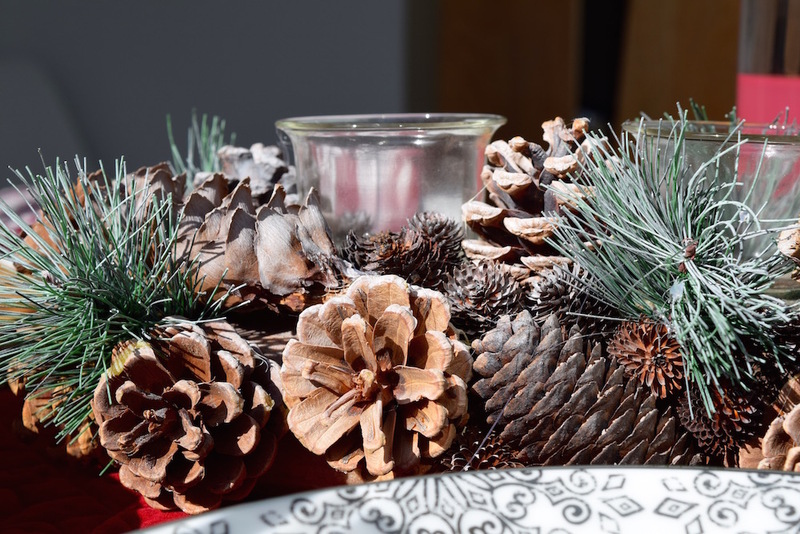 With that in mind, it has got me thinking about festive tablescapes so that the Christmas dinner or Christmas parties can be all set out as you want them. There is just something more extra special about festive meals, with crackers and crowns, so I like to make them look a little more special. 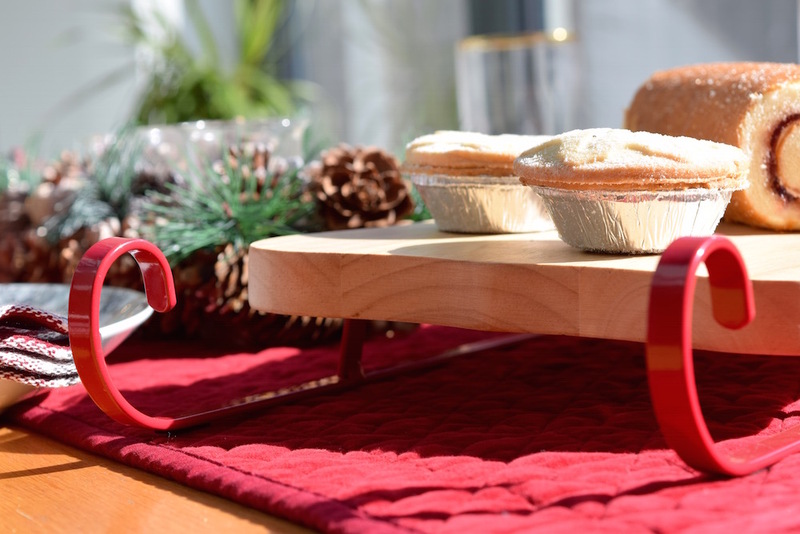 I got a new serving tray recently that is a cute sleigh serving board, and I am just in love it with. Little things like that can make a real difference. 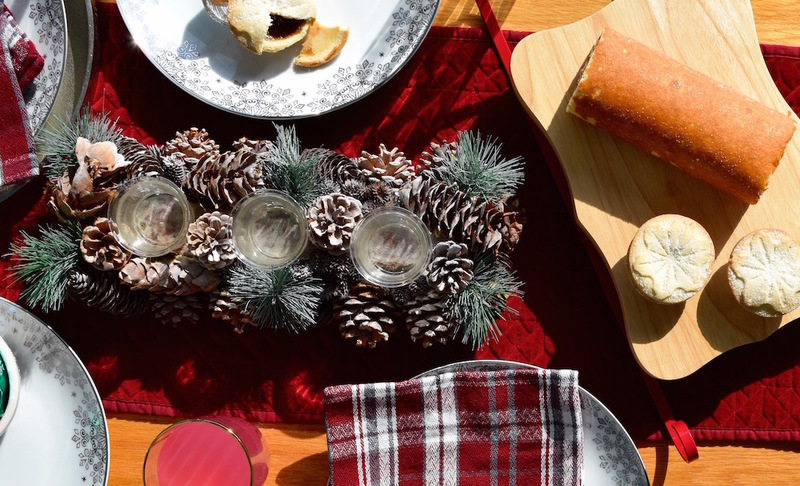 Here are some suggestions for your Christmas tablescape to wow your guests this year. With just a few of the right things, it can all be pretty simple to put together. Placements work on a practical level, as well as an aesthetic level. 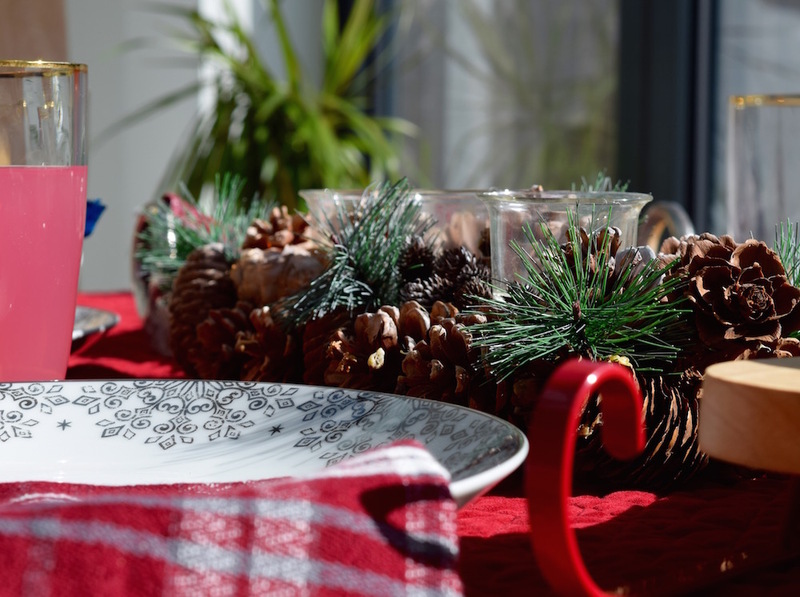 They can be a simple way to add a pop of festive colour, without the need of a tablecloth. 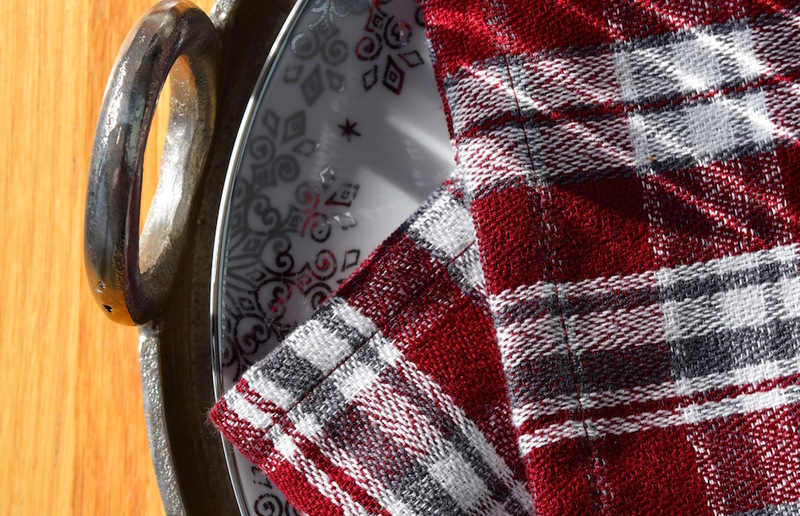 I am all about the traditional red, white, and green for my placemats and tablescape colours, but I am loving the checked patterns that Matalan has in this year for napkins that could double up as a placemat too. 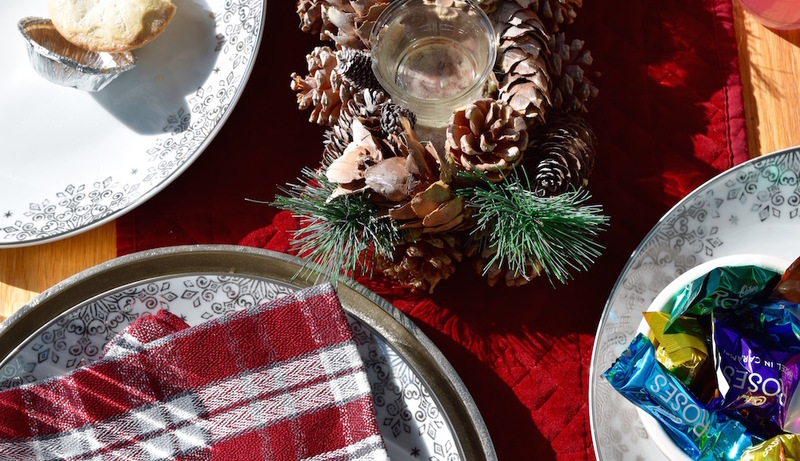 If you need to get some new plates this year, then to get more bang for your buck, classic white is always a good idea, as they can be used for a lot more than just Christmas. Having some plates with some subtle trim, like a gold or silver pattern can be a simple nod to the season, without being too ‘in your face.’ The same goes for tumblers and wine glasses too; keeping it subtle with just a little bit of colour can make them much more versatile. If you don’t want to go too full on with tablecloth, then choosing a table runner can be a good way to add colour, as well as protect the table. I like to wood of our table, but matched with a red table runner it adds a new dimension to the table. It can still work with a tablecloth too, but I prefer the wood and then a runner for a real contrast. Paper napkins are definitely a winner for an event with kids or a children’s party. But for a dinner party or Christmas dinner, adding cloth napkins can add a new level of elegance. They are inexpensive but they can dress up a table without much effort. I think the whole napkin ring thing is a little old-school, but they can work folded up too. Tying with a ribbon and adding a small name tag could be a cute addition if you are going full-on fancy. Candles can be a little bit of a risky choice with kids, but if it was for a Christmas dinner party, then it can be a really nice way to make it feel instantly more festive. They can give such a cosy feel in the winter time too; I love a good candle. Have you got any plans for Christmas yet? It would be great to hear what you think. Love it! That sleigh tray is going to have to be a must I think! I definitely needed to get some nice napkins for Christmas this year – it is my first year hosting and I’m a little short of the niceties! I do need to make a start on Christmas decor and presents. Its been a while since I went to Matalan. Recently I’ve been seeing all the tv adverts for Matalan, but their festive homeware bits you’ve listed here look so magical! I can’t wait for Christmas, you’ve got me feeling all festive. We have special table linen and napkins for Christmas lunch, as well as candles of course. Dressing the table is almost as important as the cooking for us. I do love Matalan, especially at Christmas time! I actually ordered my wrapping paper etc from there this year! I love Matalan too! Especially at Christmas!